So I’m rapidly counting down the days till my year 11 semester one exams and finding time to manage stress levels whilst staying positive is becoming slightly more difficult, I won’t lie. It sounds easy staying happy and healthy, but chuck a few tests in, two weeks to exams and it feels like you’re drowning in a never-ending pool of study. I have found a few little tips and tricks that have helped me out massively in the last few weeks, preparing for exams and tests, and lucky for you I am willing to share. Firstly, staying healthy is my main priority. As the cycle of the flu has hit my school recently, I have tried everything in my power to prevent myself from catching it. Vitamins have been my total life-saver! My Dad actually recommended these to me earlier in the year, and the difference even one day of taking them is crazy. Another thing has been eating lots of nutrient-rich low GI foods which release energy slower- beneficial to those about to commence the dreaded exam period. Foods including whole grains, legumes and lots of pasta. 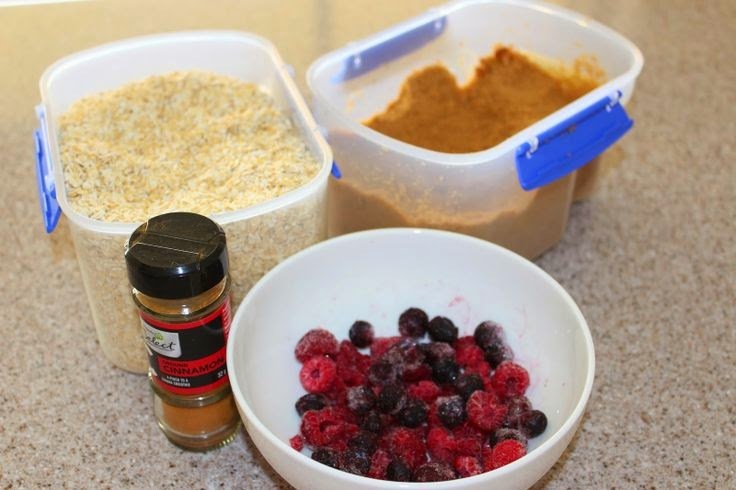 My staple low GI breakfast for the moment is porridge- of course with a few berries and brown sugar. I’ve found that the Cenovis Multivitamins and Minerals vitamins give you and incredible amount of energy to last you through the day, and help me to stay focused in class. Staying healthy is my main priority but feeling happy and positive is also very important component to achieving the best results possible. Even a quick walk around the block and back can provide your brain a quick refresher from all that hard studying. It’s important to take breaks in-between studying, letting yourself take a break and re-group before continuing. For me watching a silly chick flick lets my mind wonder to other places that do not involve the words; narrative conventions, frequency histogram or pulmonary artery. Some useful tips that I’ve discovered via a wonderfully gifted young lady, Jane Genovese of Learning Fundamentals- she gives presentations on studying tips and exam preparation to senior students. For me I’m a visual learner, and her advice was to create mind maps- pretty poster with one central idea and different ideas branching off, and the use of flash cards. She speaks of encouraging ways to get motivated to even just open your book and read the first sentence, and even setting a timer for eight minutes- studies show we’re more likely to continue studying after eight minutes. I think the overall message here is to not freak out, if you’re well-prepared and take time to relax occasionally I believe we all will survive semester one exams. Good luck to you all!